It was reacting to the claim of the World Bank Group that President Muhammadu Buhari asked the organisation to focus on northern Nigeria. 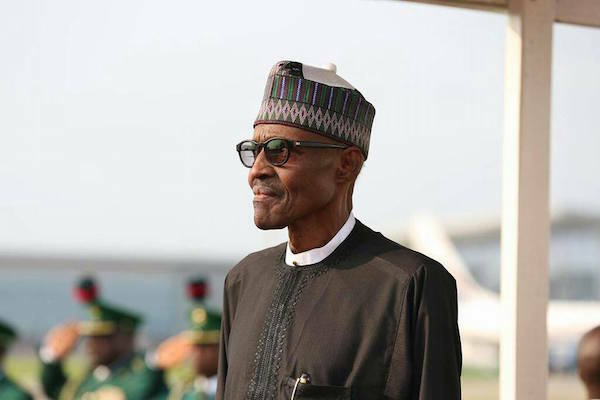 Jim Yong Kim, president of the group, said at a news conference in Washington DC, US, on Thursday, that Buhari asked the organisation to focus on the northern part of the country. 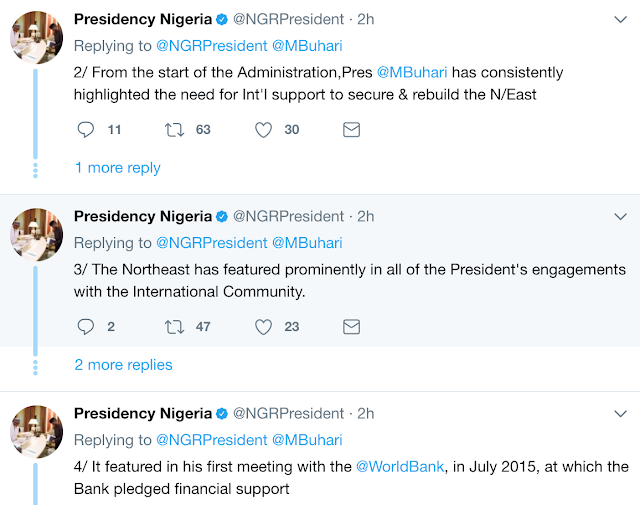 The presidency noted that the Northeast has featured prominently in all of the President’s engagements with the International Community. Presidency Nigeria in a series of tweets on Friday wrote: “Northeast Nigeria has always been a priority for President @MBuhari, right from when he campaigned to be President. “The Northeast has featured prominently in all of the President’s engagements with the International Community. “Securing the Northeast & Rebuilding it, and seeking International support & assistance for this, will continue to be a priority for us. “We remain grateful for the show of support from the international community,regarding the security & humanitarian situation in the N/East. “We inherited a Northeast beset by a humanitarian crisis of monumental proportions: villages, and towns laid waste; more than 20,000 dead.